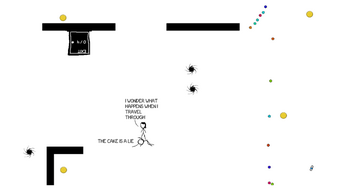 Made for the XKCD Game Jam. 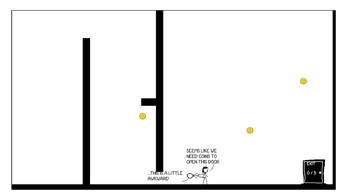 Based on the strip of the same name by Randall Munroe. 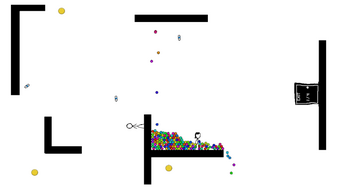 Collect all the coins to proceed. This is a 2 player co-op game. You can play it in single player but be prepared to think with two minds! Escape to pause. Best played as is without making it full screen. Press Home to reset the level if there's a glitch and you get stuck. Yeah, the physics is kind of wonky sometimes! This version fixes some bugs and adds the home reset option, adds a bit of polish as well. 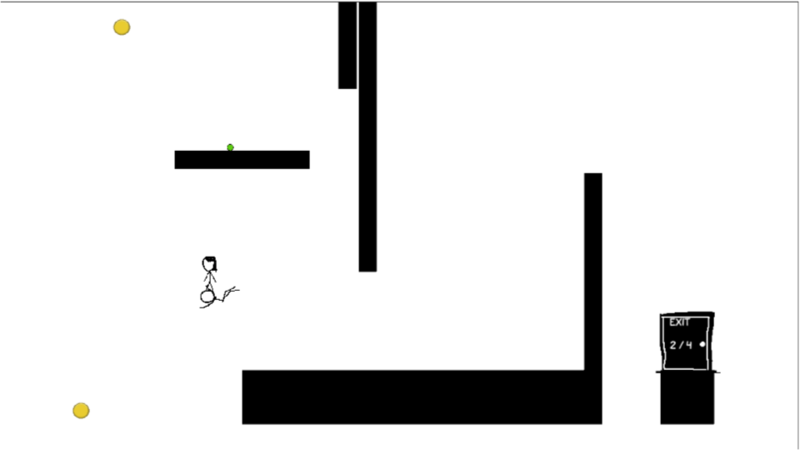 Made a particular level more fair in challenge and introduced crouching. Look out for the ending! 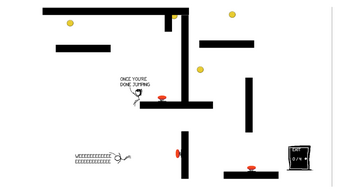 Brilliant game! Even my wife liked it. Really charming game! 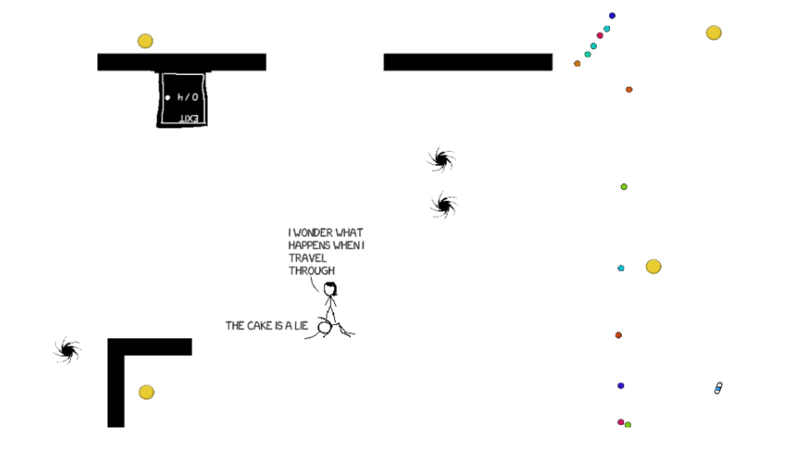 So xkcd-y, smart gravity puzzles, I really like it! I like it! Very nice co-op game, with a unique twist.